Carol Lancaster (1942-2014) was a non-resident fellow at the Center for Global Development and dean of the Edmund A. Walsh School of Foreign Service at Georgetown University. Before joining the Georgetown faculty in 1996, Professor Lancaster served three years as Deputy Administrator of the U.S. Agency for International Development. She also served as Deputy Assistant Secretary of State for African Affairs (1980-81) and as a member of the Policy Planning Staff of the Department of State (1977-80). Lancaster wrote several books on African development and U.S. foreign assistance, including Transforming U.S. Aid: United States Assistance in the 21st Century, which was published by the Institute for International Economics, and Aid to Africa: So Much to do, So Little Done. She wrote or edited several other books and several dozen articles published in scholarly journals and periodicals. Carol chaired the board of directors of the Center for Economic Development and Population Activities. Previously, she served on the boards of Volunteers in Technical Assistance and World Education. She was a member of the USAID Advisory Committee on Voluntary Foreign Aid since 1997. The last decade has seen a growing number of efforts to measure the quality of foreign aid, including part of CGD's own Commitment to Development Index (CDI). This event will showcase three new projects of this kind—projects that dramatize how the quality of aid matters as well the quantity, that point to specific ways to improve aid, and that create incentives for reform. The SmartAid for Microfinance Index of CGAP, an independent policy and research center dedicated to advancing financial access for poor people, scores donors and investors on how well they are set up to support microfinance. The Humanitarian Response Index of Madrid-based DARA International measures the quality of aid that responds to natural disasters, famine, and refugee crises. Finally, a new CGD project is assembling indicators of general aid quality, covering such aspects as aid volatility and use of independent evaluation. Come find out which donors do well and why—and develop your own measure of the value of such projects for gauging and improving aid quality. Guatemala . . . Teetering on the Brink? Visiting fellow Carol Lancaster reflects on how Guatemala has changed since her first visit four decades ago. A larger middle class and formal sector, more NGOs, and more women in professional life: these are among the positive changes. Yet the country is poised to either realize its great potential or succumb to obstacles along the way. U.S. policies can influence the future of Guatemala and other countries in the region, but they must look beyond the narrow focus on drugs and migration. A proposal calling for what amounts to a complete makeover of U.S. foreign assistance was launched Tuesday at a packed event on Capitol Hill featuring remarks from elected representatives from both political parties and the House and Senate. New Day, New Way: U.S. Foreign Assistance for the 21st Century is an urgent call for reform from members of the Modernizing Foreign Assistance Network, a group of the prominent foreign policy and global development experts who work in a variety of academic, policy, development and advocacy professions. CGD senior fellow Steve Radelet and Gayle Smith, a senior fellow at the Center for American Progress, are co-chairs of the Modernizing Foreign Assistance Network. New Day, New Way argues that foreign assistance is a key element of U.S. foreign policy and the national interest but needs a dramatic overhaul to meet today's global challenges. It urges the next president, Congress, policymakers and the American people to take specific steps to bring U.S. foreign assistance up to date. The legislators attending expressed similar views. Related Links New Day, New Way: U.S. Foreign Assistance for the 21st Century Proposal Proposal Signatories Chronicle of Philanthropy Article OneWorld Article Politico Article AFP Article Exchange Blog Other CGD Resources Modernizing U.S. Foreign Assistance Initiative A Funny YouTube Video about Foreign Assistance? Video of the Report Launch House Foreign Affairs Committee Chairman Howard Berman (D-CA) said he was energized and “flabbergasted” at the large turnout for the event—more than 250 people packed into the Rayburn Building’s House Foreign Affairs Committee hearing room. “I will take a very serious review [of this report],” he said. “It is my firm belief that this won’t just be another process of stating how we want the world to be. It will be a pick-up-and-run-with-it report,” he added. Sen. Hagel (R-NE), a member of the Senate Foreign Relations Committee, said New Day, New Way covered “the most important issues that will face our country and world over the next 20 to 25 years” and that the reforms it advocates could help to reintroduce America to the world. “I have never believed that foreign assistance should be viewed as welfare,” he said. “It is an investment in America’s role in the world; an investment in stability in the world; an investment in a more peaceful world; and clearly in the interests of America to do this wisely.” Rep. Nita Lowey, chairwoman of the House Appropriations Subcommittee for Foreign Operations, welcomed the report and the remarks of her congressional colleagues, saying that development issues are more critical than ever to U.S. foreign policy. “It is in the interest of the United States of America to pursue rigorous aid and development programs,” she said, adding that in order for this to happen “the diffusion of resources and responsibilities across agencies and departments must be examined.” Citing the findings of the report, Radelet said that although some recent programs, such as those to fight HIV/AIDS and the Millennium Challenge Account, are welcome, the system as a whole is badly outdated. “At this point, no band aid approach can be effective," he said. "The organization, policies and practices of U.S. foreign assistance must be fundamentally overhauled to meet the challenges of the 21st century." Steps recommended in the report include articulating a U.S. national global development strategy, passing a new foreign assistance act as part of a "grand bargain" between the executive branch and Congress, streamlining organizational structures (ideally into a cabinet-level department for global development), and increasing funding and accountability for foreign assistance. Smith said that the American public and foreign policy experts understand the importance of supporting development and poverty reduction abroad more clearly now then aver before. “People understand that this is both a moral imperative and a prerequisite for sustained U.S. national security," she said. The Foreign Assistance Act is badly in need of an overhaul because more than four decades have passed since President Kennedy signed it and "recent changes have brought more chaos than clarity," she added. In her remarks, Rep. Lowey drew attention to an amendment to the 2009 defense authorization bill that she, Rep. Berman and Rep. Skelton (D-MO, and chairman of the House Armed Services Committee) have proposed that would establish a 12-member panel to review how the Defense and State departments, as well as USAID, collaborate on national security issues. The amendment was passed in the House and awaits Senate attention. Rep. Lowey said “now is the time for us to look at foreign assistance” and reinvent it to reflect the challenges and needs of the 21st century. The New Day, New Way report says that U.S. foreign assistance has served the national interests in three ways: enhancing national security, expanding global economic opportunities, and promoting American values. "These interests are mutually reinforcing, and when the U.S. pursues them each strategically and in tandem it positions itself as a pragmatic and principled world leader," Radelet said. U.S. engagement with the world has been affected by new foreign policy, national security, and economic challenges. These global challenges have stretched the bounds of both civilian and military involvement in development. The current system of foreign assistance has proven to be inflexible and outdated, unable to meet the needs for international investment. This investment, however, must be a lynchpin of U.S. national security in the 21st century – one of the three integral parts of diplomacy, defense, and development. A growing contingent of policy experts has agreed that U.S. foreign assistance must change in order to be more effective, responsive, and efficient. The "New Day, New Way: U.S. Foreign Assistance for the 21st Century" report is the first step towards this mobilization. Amidst the myriad of proposals, commissions, reports, and debates around the topic of how to best design and achieve reform, the Modernizing Foreign Assistance Network has coalesced to build a solid foundation for a grand bargain amongst the executive branch, legislative branch, and the private stakeholder sector to revitalize and build strong civilian capacity for foreign assistance. This group of experts will outline the main principles and how they plan to help move this agenda forward. Join us with your pressing questions about how this report could lead to an integrated foreign policy which restores the luster and reputation of the U.S. in the world. Book Launch: George Bush's Foreign Aid: Transformation or Chaos? WASHINGTON,D.C. (May 20,2008)- The administration of George W. Bush has ramped up foreign aid spending to unprecedented levels and has implemented a number of important foreign aid initiatives but each of these advances has brought with it a set of policy challenges for the future and has added to the troubling fragmentation already plaguing US foreign aid, according to a new book by Carol Lancaster, a visiting fellow at the Center for Global Development (CGD) and the director of Georgetown University’s Mortara Center for International Studies. Lancaster, who has held senior development policy positions in both U.S. Agency for International Development and the State Department, said that the winner of the November presidential election should begin to tackle the problem of modernizing U.S. foreign aid even before taking office. “President Bush leaves a mixed legacy on foreign assistance,” she said. “Development issues have received more attention and money under this administration than at any time since President Kennedy. But the lack of a clear strategic direction and jumble of agencies and missions undermines effectiveness and fails to serve U.S. interests,” she said. Lancaster untangles this complex legacy and suggests a path forward for the next administration in a new book, George Bush’s Foreign Aid: Transformation or Chaos?, published by the Center for Global Development. CGD will release the book on May 20, 2008, at an event in Washington D.C. Retired U.S. Rep. Jim Kolbe (R-AZ), the former chairman of the House Appropriations Subcommittee on Foreign Operations and an outspoken advocate for more effective U.S. development assistance will deliver the keynote address. During the Bush administration, U.S. foreign assistance rose dramatically – from $12 billion in 2000 to $27 billion in 2006. Even after adjusting for the large share of assistance – about 23% percent – that went to Iraq and Afghanistan in 2006, aid to other developing countries doubled, according to Lancaster. Lancaster ‘s book describes how the Bush administration attempted to improve aid effectiveness through restructuring and through innovative programs and delivery mechanisms. For example, the Bush administration created two significant new aid agencies: the Millennium Challenge Corp. or MCC, which set out to provide large grants to poor, well-governed countries; and the President’s Emergency Plan for AIDS Relief or PEPFAR, which provides billions of dollars to treat and prevent a single disease in 17 target countries. The Defense Department has also begun to provide economic aid for development and stabilization in non-conflict zones. Finally, an effort was made to partially integrate USAID into the Department of State – an effort that brought some benefits in the form of better information and joint planning but raised the threat that eventually USAID and its development mission would be overwhelmed by the Department of State with its compelling diplomatic goals. CGD president Nancy Birdsall, who will also speak at the book launch, writes in a forward to the book: “The past 40 years of foreign assistance have shown successes, but they have also shown that our foreign assistance programs are out of synch with one another, out of date, and badly in need of an overhaul to meet the challenges of the 21st century.” Among the topics that are likely to be discussed at the book launch is the best way to organize U.S. foreign assistance going forward. The book concludes by exploring the costs and benefits of different options for the future. According to Lancaster, there are three ways to restructure U.S. foreign aid: a new cabinet-level Department of Development; a subcabinet-level agency governing all U.S. aid programs; and a full merger of USAID into the Department of State. Lancaster promotes the subcabinet-level agency with control over all U.S. aid programs as the most effective and realistic model for restructuring foreign aid. Visiting fellow Carol Lancaster analyzes the dramatic changes in U.S. foreign aid during the Bush administration, including the increased use of aid to address failed states and to fight the global war on terror, the establishment of an entirely new aid agency—the Millennium Challenge Corporation (MCC), and the use of large amounts of aid to address a single problem, as with the President’s Emergency Plan for AIDS Relief (PEPFAR). Chinese foreign aid is rising fast and Western aid agencies are concerned: will Chinese aid undermine efforts to promote reform in Africa and elsewhere? Will Chinese loans burden poor countries with fresh debt? In this new essay, CGD visiting fellow Carol Lancaster provides a concise and accessible overview of what is known--and not known--about the Chinese aid system. 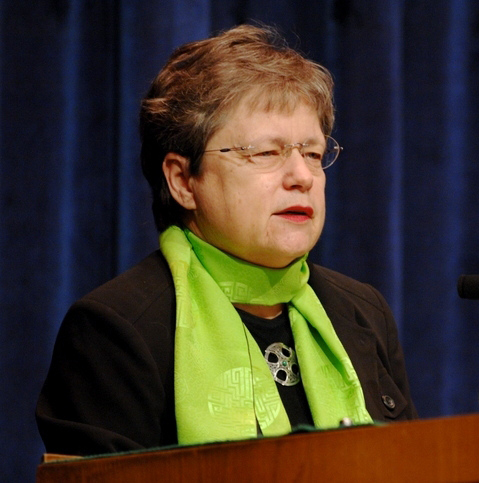 She advises aid agencies in Europe, North America and Japan to increase communication and to seek opportunities for collaboration with Beijing. Sierra Leone, where a brutal decade-long civil war finally ended in 2002, has just held remarkably fair, peaceful and well-organized elections. CGD visiting fellow Carol Lancaster, a former deputy administrator of USAID, was there as an election observer. In a new CGD Essay, she reflects on what democracy means in a country with a mere 35 percent literacy rate, a 70 percent unemployment rate, and life expectancy of only 40 years. She writes that progress will depend upon the new government's ability to tackle corruption, rebuild infrastructure and encourage investment. It will also require the emergence of a domestic constituency with the knowledge, power and commitment to hold new leaders accountable.